﻿ End of the Commons General Store - Ohio. Find It Here. 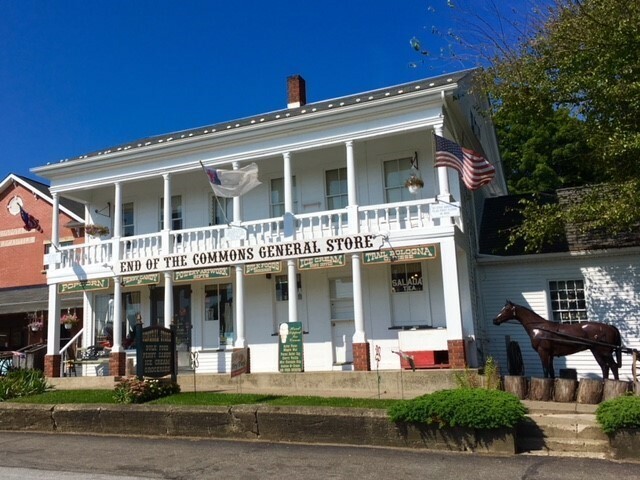 Located in the heart of Amish Country, this family-owned general store serves the local Amish community as well as provides visitors with a glimpse into the past. One of the oldest general stores in Ohio, it has been in continuous operation since 1840. Those looking for a bite to eat will enjoy the ambiance of the Commons Café located inside the store. Just steps away from the store entrance is a 15 woodcarving featuring a frontiersman reminiscent of early settlers living in the area that was carved from a 350-year-old oak tree stump. And across from the store and adjacent to the Commons sits the worlds largest Amish horse and buggy which stands 14 high and 32 long.